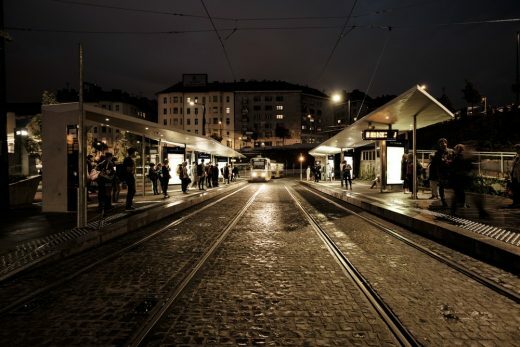 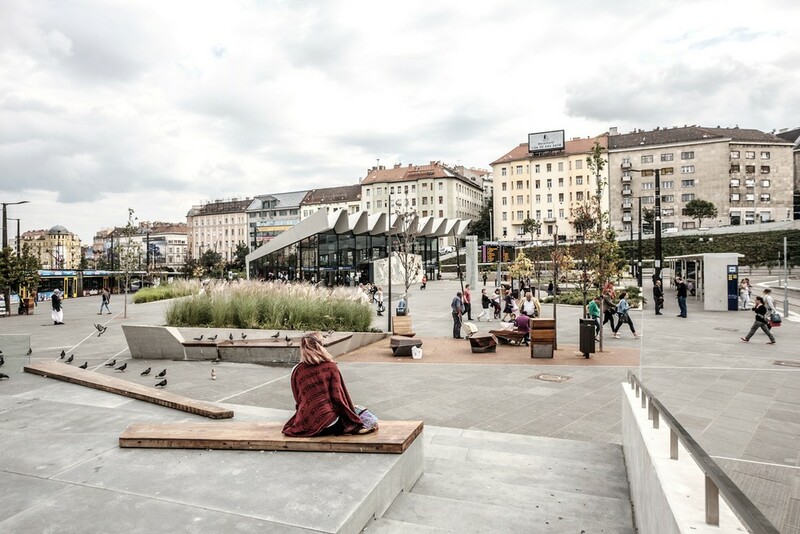 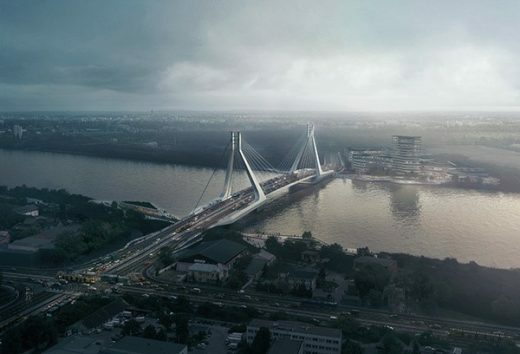 The project was the refurbishment of one of Budapest’s busiest downtown transport hubs, and the most visited public square on the Buda side. 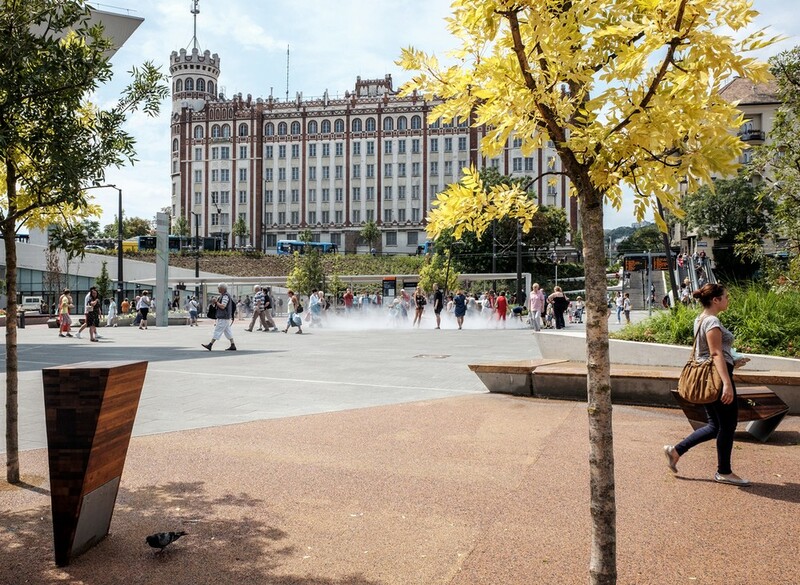 Due to the strict order of tramlines and roads, the main architectural and landscaping goal was to clean up and rationalize the inner parts, making the square a pedestrian priority public space with as many green areas as possible, in a way that does not interfere with the transferring crowd. 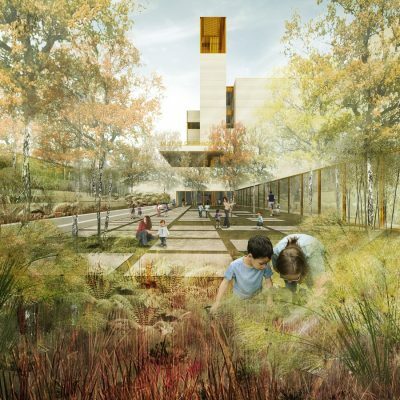 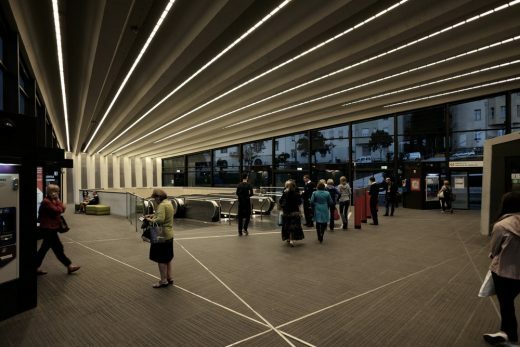 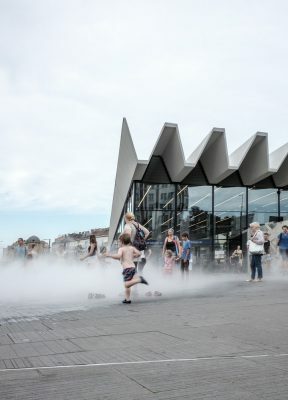 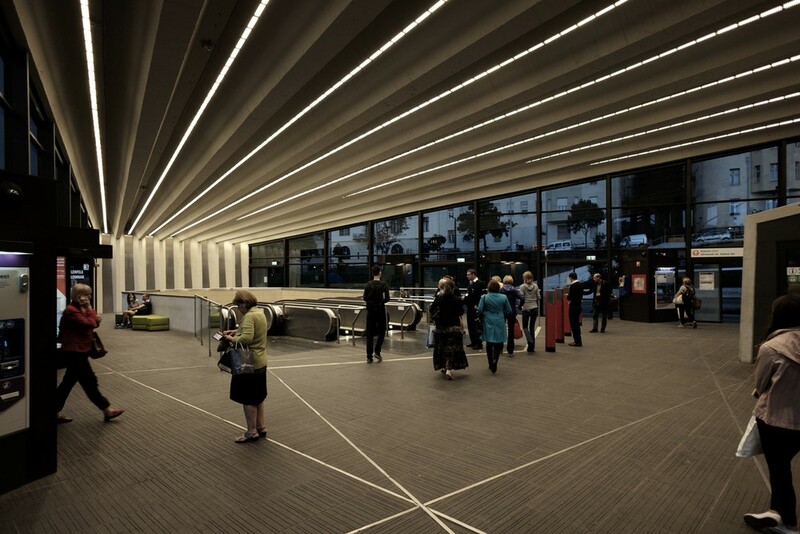 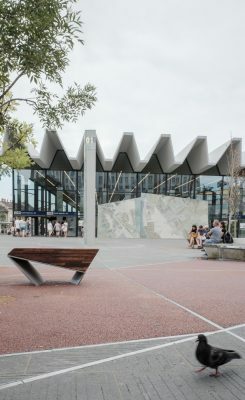 The placement of the resting areas, filled with shrubs, trees, fountains and benches is based on an analysis of the crowd movement, providing the shortest route for each transfer and utilizing the least loaded patches, while leaving the heavy connections empty. 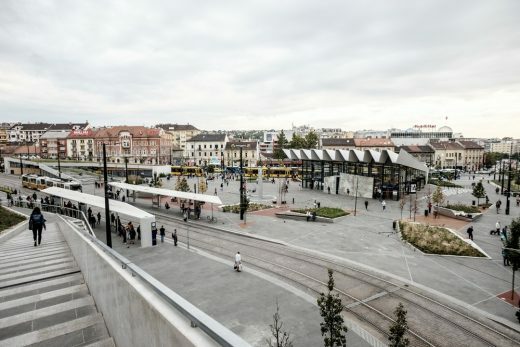 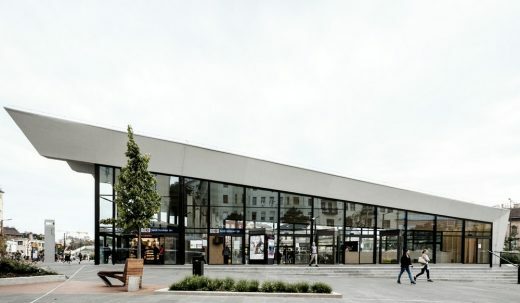 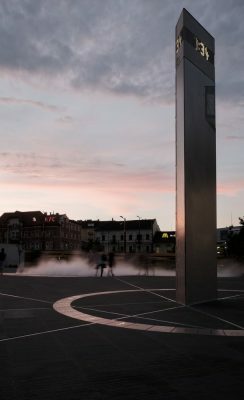 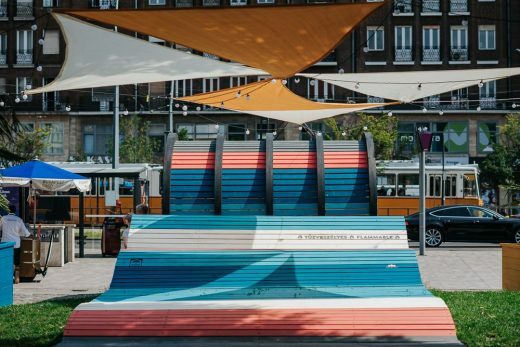 A total reconstruction meant the demolition of old soviet-era bus stops, commercial pavilions and the old tramlines crossing and dividing the square. The only exception was the fan shaped metro station, which was engineered in the 70’s, but got crowded during the decades with small shops blocking transparency from all sides. 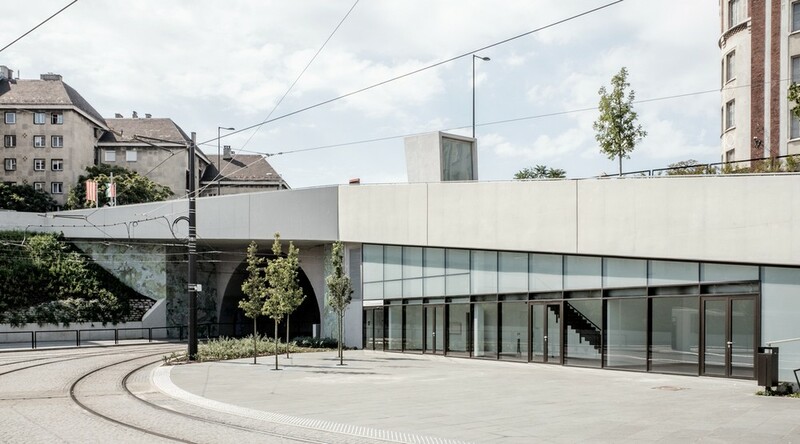 This iconic building opened up, and became a transparent meeting point. 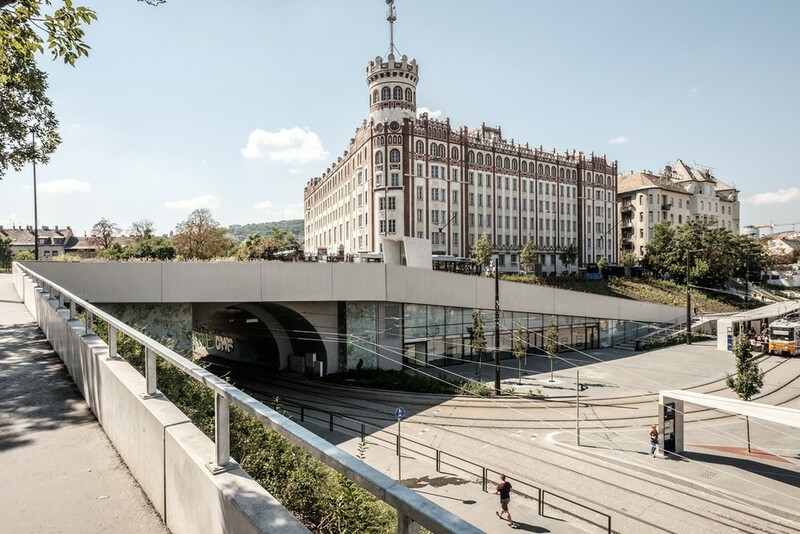 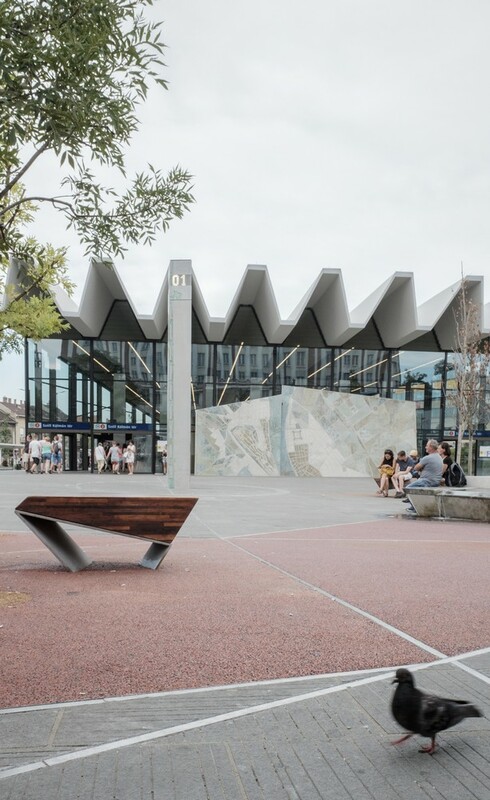 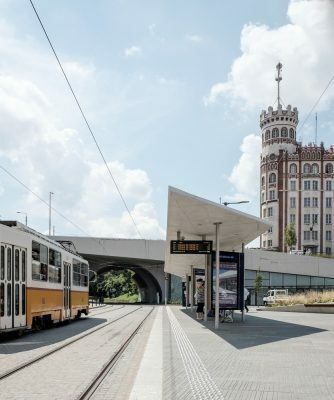 The new constructions – the service buildings and tram stops – follow the raw materiality of the metro station, in a square where the color is provided by the crowd rather than the architecture.